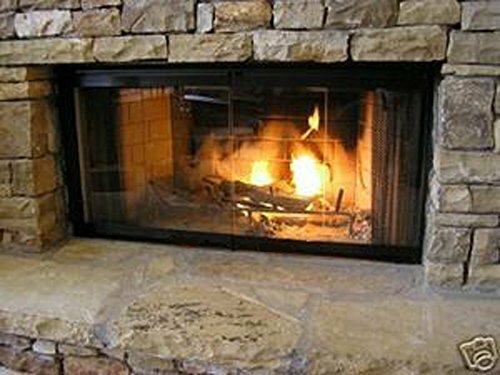 36'' Fireplace Glass Door Set To Fit Heatilator Unit by Pathline Products at Foom App. MPN: DM1036. Hurry! Limited time offer. Offer valid only while supplies last. These DM1036 glass doors are designed to make your Heatilator or Heat & Glo fireplace that accepts these doors -- the focal point of your home. These DM1036 glass doors are designed to make your Heatilator or Heat & Glo fireplace that accepts these doors -- the focal point of your home. Adding these doors can minimize the amount of heat loss in the winter and can save the air conditioning in the summer from escaping through your flue system! Please check your model number and owners manual prior to purchasing to make sure that these glass doors will fit your fireplace. If you have any questions about this product by Pathline Products, contact us by completing and submitting the form below. If you are looking for a specif part number, please include it with your message.